I have a few lamps in the house that are now wifi control enabled. I use google home to control them. So far, I have been using wifi plugs - but the issue is that some guests who are not comfortable with google home are unable to control the lamps. My question: - Anyone who has done this and can give me some inputs. - Any downsides to what I am proposing or a better way or better products to achieve this? - Is there a readymade product that is a closed module that has wifi and a physical switch together? Google Home is nice, but you can't control primary room light exclusively with it. The building codes absolutely require that some lighting in each room be controlled by plain wall switches in standard locations. The locations of the mandatory switches are defined by Code. The brightness level is defined by Code, though in some living spaces it is allowed to switch a receptacle and the citizen is on his own recognizance to plug in a workable light. As long as there is a light switch in the proper location, and it operates some light in the normal way, the Code requirement is satisfied. You can have as many other lights as you please, control them any way you please, and you need never use the statutory light switch. Lack of legal lighting could endanger your occupancy permit and thus, your mortgage. What's more, if an accident is caused by someone being unable to turn on the light, the insurer will cite the defect as reason to refuse coverage. Your mortgage lender will have a problem with that too. On top of this, that Sonoff junk is a direct import from China and uses this loophole to bypass all our safety regulations, that's why it's cheaper. As such, it is not approved by a Nationally Recognized Testing Laboratory (NEC 110.2 on the very first page) so there goes your fire insurance. And again if the inspector catches this in your home, he'll make you tear it all out. Rules are eased somewhat for smart devices which are not made part of the house wiring and are merely plugged in. 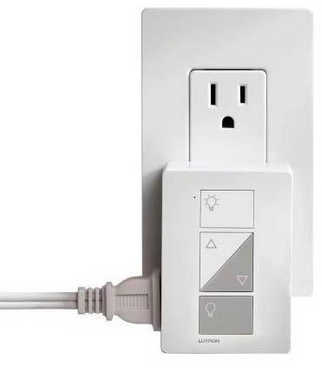 Another clean solution for this, which I have deployed in my own house, is to use the smart switch technology from Lutron. They have the Caseta series one of which is a smart plug module that goes into an outlet and then can have a lamp plugged into it. The unit has on/off and dimmer control buttons right on it. Then they have their PICO remote control that can be easily paired with the smart plug. The PICOs can then be mounted on a nice little pedestal that lets it be used as a table top control. Example in picture. The best way to handle this would be to use a smart switch solution that allows you to use remote switches AND smart home control. There are lots of these. 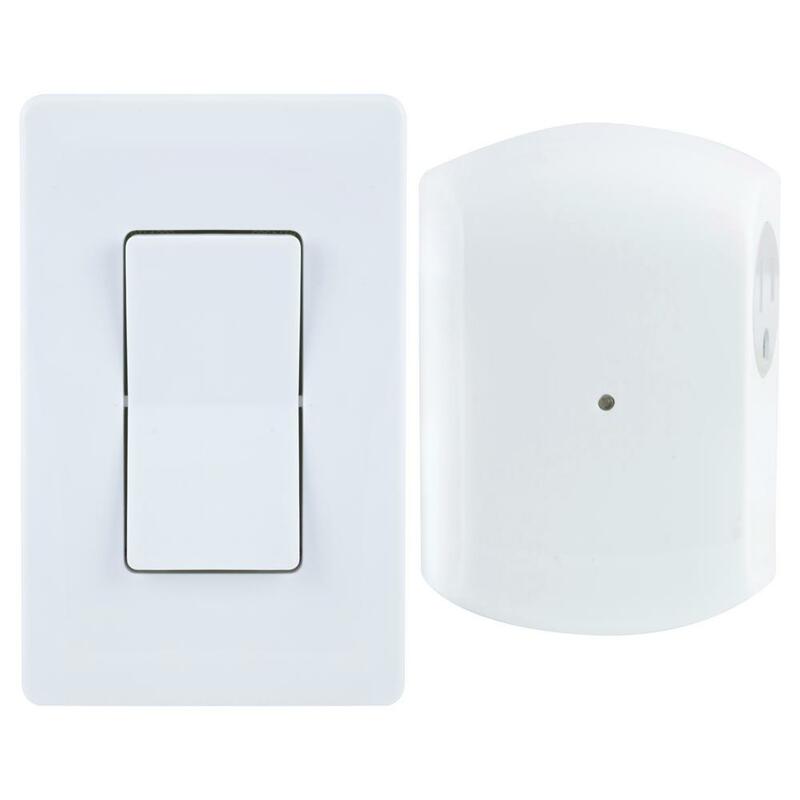 These kits come with a receiver that goes at the receptacle and a battery operated switch that mounts like a regular wall switch. You'd probably want to program the sonoff to turn on upon power up. Not the answer you're looking for? Browse other questions tagged switch wifi or ask your own question. How can I remote control a switch for a pool pump? How can I control a bath fan with two lights through a single wire? 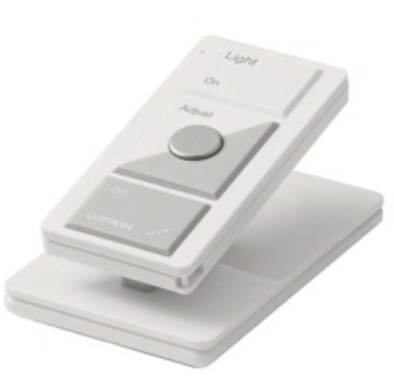 How can I add a switch to separately control a light and fan? How to control a dimmable LED light? Putting a WiFi thermostat on a Milli volt system control of a fireplace. How do I connect a WiFi enabled wall switch? How should I connect my new WiFi Smart Switch?